Natural stone such as marble, travertine, limestone, granite and even slate materials are arguably the most gorgeous surface materials for flooring and counters. While these natural stones are gorgeous, they are also delicate and come with their own set of vulnerabilities and sensitivities. Though delicate, they are not as hard to maintain as some may think they are. In fact, the main thing you can do to keeping your natural stone surfaces looking great is by keeping these surfaces clean and dry. 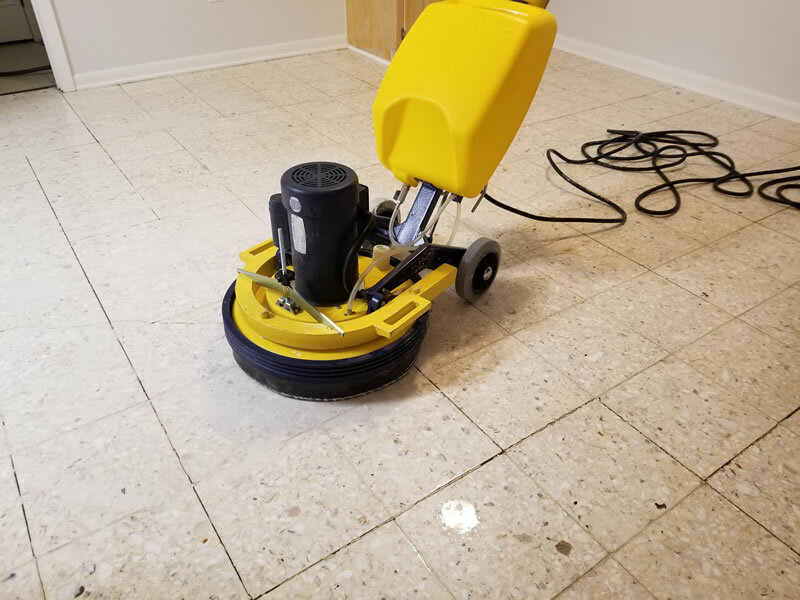 Ensuring your natural stone floors have a strong, quality seal such as the one we use at Modern Stone Care, will help avoid stains and etching into the stone’s surface. Never let your natural stone go unsealed: Natural stone is porous and fragile. This makes them susceptible to staining and etching which will affect the health and appearance of your surfaces. Starting with a strong seal on all stone surfaces is a great way to avoid issues and enhance the natural beauty of your stone. Address Stains Immediately: Even with a strong sealed surface, it is important to never let any intrusive liquids or particles sit on your stone. It is important to clean anything that spills or gets onto your stone as soon as possible to avoid long-term damage. Acidic substances are especially bad for your marble and should be addressed immediately, this includes red wine, most cleaning products, tomato sauces, and more. Use Specialized Stone Cleaners Only: At Modern Stone Care we offer our own in-house formulas for natural stone cleaning at home. We have done this because many surface cleaners you find in the store contain ingredients that cause problems for natural stone surfaces. They are too acidic and can damage the appearance and strength of your floors and counters. Wipe Away All Moisture: A huge oversight made by natural stone surface owners, is leaving surfaces moist after they are cleaned. This can cause expensive problems and even permanent damage to your natural stone. After you clean your floors, it is crucial to follow the cleaning up with a dry. You can use a simple cloth to achieve this goal. Microfiber towels work best! High Humidity: Natural stone in high humidity environments, such as in bathrooms, is especially difficult to keep dry. We recommend having microfiber bath mats and rugs that can cover the area directly outside of your shower and bath. Additionally, wiping the floor after each shower to avoid the humidity seeping into the stone will help to keep your seal strong and your stone safe.